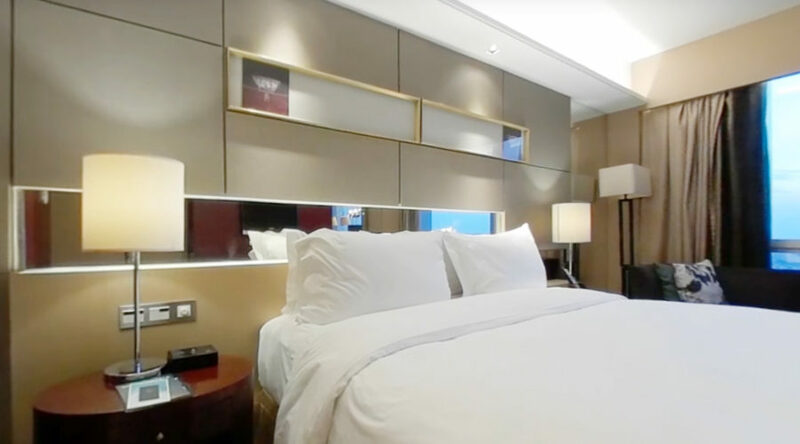 Sofitel Galaxy Nanjing is located to the old city centre of Nanjing. A new underground shopping centre with Metro station will be opened soon 2018/19. Both is only a 2 minute walk away. The interior is modern and luxurious. The view from the room is stunning. You can overlook the whole city and see all areas and city monuments like the Nanjing Tower skyscraper that was once the highest skyscraper of Asia. Check-In: From 2pm Check-Out: Before 12 am.